Does the thickness of silicon sensor affect the energy sensitivity of the detector? 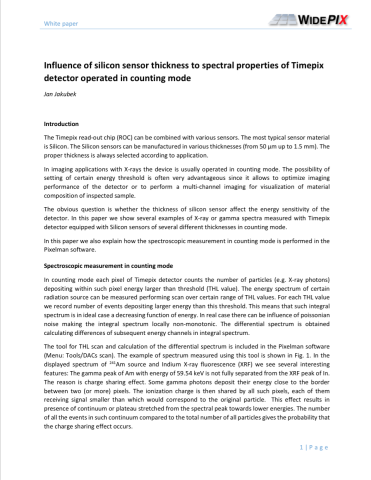 In this paper we show several examples of X-ray or gamma spectra measured with Timepix detector equipped with Silicon sensors of several different thicknesses in counting mode. 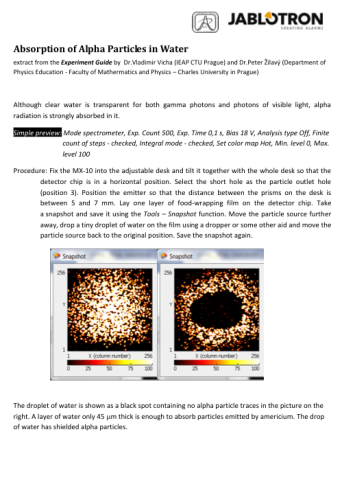 Although clear water is transparent for both gamma photons and photons of visible light, alpha radiation is strongly absorbed in it. 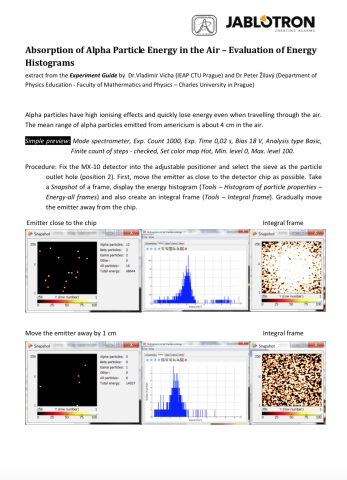 Alpha particles have high ionising effects and quickly lose energy even when travelling through the air. The mean range of alpha particles emitted from americium is about 4 cm in the air. 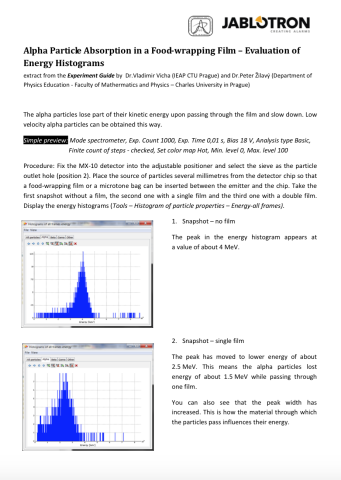 The alpha particles lose part of their kinetic energy upon passing through the film and slow down. 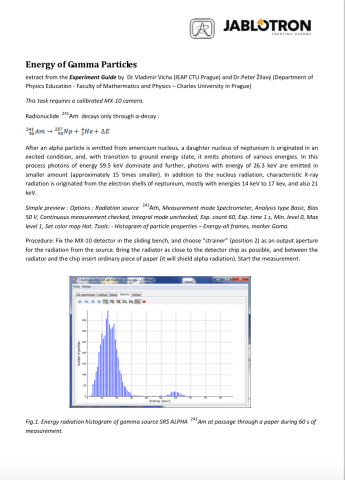 Low velocity alpha particles can be obtained this way.